We are “saved,” spiritually and psychologically, only when we outgrow egoic consciousness by bringing our Higher Self into expression. This Transformation is the only salvation on offer for anyone and everyone! Hidden Treasure unveils the psychology of transformation behind the New Testament’s story of Jesus and his teachings. Properly decoded, the Book of Revelation can be seen as an expose on the psychic forces behind the human life drama. It’s not about the end of the world. 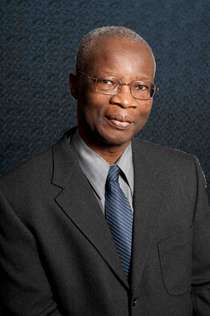 F. Aster Barnwell studied economics at the University of Waterloo and McMaster University in Canada and worked as an economist for the Ontario Public Service until his retirement in 2008. His spiritual insights, gained from his personal experiences and studies, provide the basis for his books on the transformation of consciousness, which include Hidden Treasure, Meditations on the Apocalypse, and The Pilgrim's Companion. He has had a life-long relationship with the Bible, first as a member of a fundamentalist, Christian church in his late teens and early twenties, and in later years as a student of comparative religion and a writer. His interest in the transformation of consciousness was ignited in his late twenties when he underwent an experience of enlightenment, brought on by the spontaneous awakening of an energy known as Kundalini. The circumstances around this occurrence are discussed in detail in Hidden Treasure. My deepest intuitive insight ... was the realization that ... all the aspirations of all peoples of all ages resulted from different levels and qualities of insight into one Ultimate Reality ... It is this intuition that led me to familiarize myself with various world religions and mythologies [enabling me] to see some of the common themes that permeate both Christianity and other world religious traditions. (Hidden Treasure, p. 19). Aster’s three books collectively mirror the progress of his own spiritual development, as each, in succession, facilitates one aspect or phase of the three-fold psychological dynamic that constitutes our quest to transform consciousness. Simply stated, these three phases deal with how we manage our endowment of psychic energy. - In Phase Three, we “re-bind” the freed energy by committing ourselves to actions in the world that reflect our evolving understanding of our spiritual purpose. Meditations on the Apocalypse can help those of us subscribing to an apocalyptic vision of our future, as a result of a literal reading of the Book of Revelation, modify our outlook by appreciating this document as a symbolic rendition of the challenges inherent in our effort to transform consciousness. The energy thus freed when we stop investing in such apocalyptic models has the potential for fostering greater human cooperation and progress. Hidden Treasure, by uncovering the transformational template embedded in the Gospels, offers us an opportunity to refocus our psychic energy—which is dissipated by relating to the Divine only as something worshiped from afar—and reorient it towards nurturing the luminous reality of the Christ presence within. This reorientation facilitates our transformation by helping us to consecrate our psychic energy to its highest purpose. The Pilgrim’s Companion serves the third phase of transformation by presenting it as something to be practiced, rather than something we only intellectualize about. It offers spiritual insights garnered from Aster’s own experiences of living his spiritual values in the world. As such, its aim is to inspire others to find the courage to similarly commit to their spiritual values and ideals in their activities and relationships. Aster is committed to the dissemination of his spiritual knowledge and insights, and is available for interviews, talks, and workshops. He lives in Toronto, Canada. 1Meditation on the Apocalypse was the first of Aster's books to be written, though the third to be published.